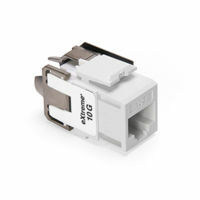 Leviton’s eXtreme 10G Connectors exceed all channel performance requirements in TIA-568-B.2-10 from 1 MHz to 500MHz to support the IEEE 802.an standard for 10 Gigabit Ethernet over UTP Cable. Each 10G connector is designed to be used with all Leviton QuickPort® compatible products and features Leviton’s patented, injection molded Cone of Silence™ to provide a simple and effective method of eliminating alien crosstalk (AXT). 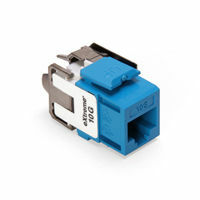 Every 10G connector includes Leviton’s patented Retention Force Technology® (RFT) to promote consistent performance over the life of the system. Unique Pair Separation Towers facilitate quick, easy terminations. 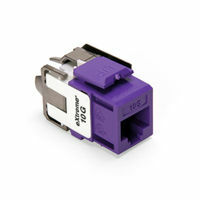 The connector is configured in a 180° configuration such that the punch down field is in the back, allowing for rear termination. The Cat 6A Universal Tool-Free Plug supports 10GBASE-T networks. 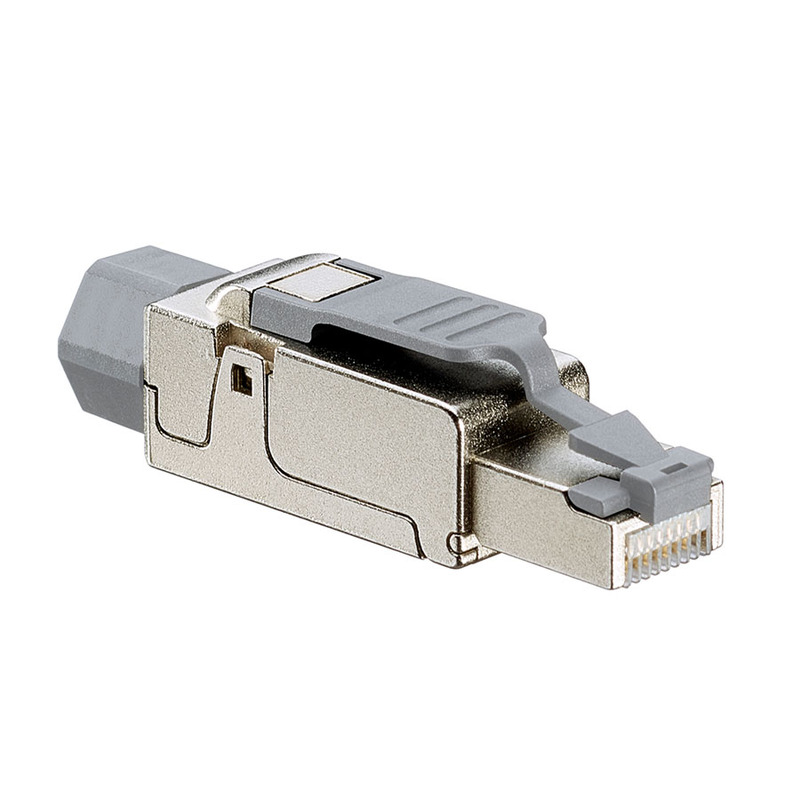 The universal connector provides superior alien crosstalk (AXT) suppression and protects critical data from potential EMI/RFI (electromagnetic interference/radio frequency interference). 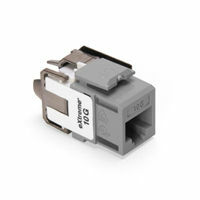 The plug is ideal for government, healthcare, manufacturing, transportation, gaming, and other environments where EMI/RFI and/or security may be a concern. 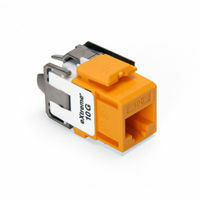 The plug is especially useful for connecting directly to Ethernet devices in fixed locations.